Hezbollah hails Syrian air defenses for downing Israel F16I fighter jet. 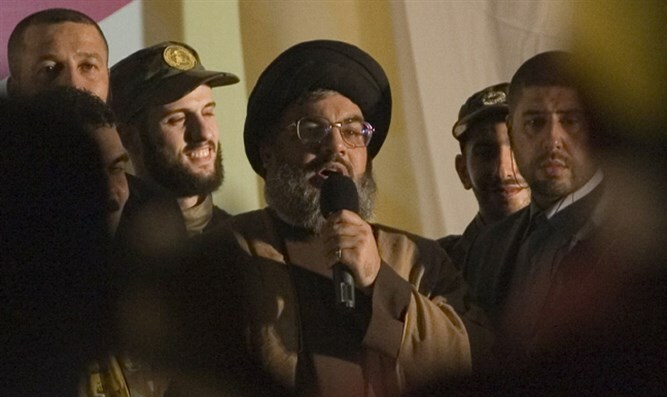 The Lebanese terrorist group Hezbollah hailed Syria's air defenses after they downed an Israeli fighter jet on Saturday, saying it marked the start of a "new strategic era." "This is the beginning of a new strategic era which puts an end to the violation of Syrian airspace and territory," Hezbollah said in a statement published by Lebanon's ANI news agency. "Today's developments mean the old equations have categorically ended." Hezbollah, which is backing Syrian President Bashar al-Assad's in his country's civil war, praised the "vigilance of the Syrian army" and said it had "bravely blocked Israeli warplanes and downed an F16." Israel struck Iranian targets inside Syria on Saturday in "large-scale" raids after an Israeli warplane crashed under fire from Syrian air defenses, the IDF said. The incident was the most serious since the civil war in Syria began in 2011, and the largest IAF operation against Syria since 1982. Israel said the raids came after it intercepted an Iranian drone entering its airspace from Syria. Iran denounced Israeli "lies" and said Syria had the right to self-defense in response to Israeli strikes. Separately, Iran issued a joint statement with the Syrian regime's other main allies - Russia and Hezbollah - denying that an Iranian drone had entered Israeli airspace. In a statement, Iranian leader Hassan Rouhani said, "If certain countries think that bombing neighboring countries will solve [their] problem - they are making a serious mistake. A military solution, foreign intervention and the destruction of weapons - are not a solution to the situation in the Middle East."